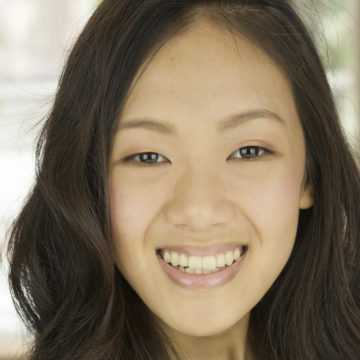 Katherine Ho began her musical journey at a young age. At age nine, she booked her first professional singing job as a children’s choir member in the film Valentine’s Day, which earned her membership in the SAG-AFTRA union. From here she began pursuing voiceover work and landed roles in Disney Junior’s Special Agent Oso. At age sixteen, Katherine competed on season 10 of NBC’s The Voice on Team Adam Levine and was one of the top 32 artists. Katherine is also very passionate about a cappella music. She is a proud alumnus of A Cappella Academy, an intensive summer camp founded by Ben Bram, Rob Dietz, and Avi Kaplan. She was also a member of the first iteration of Legacy, an LA-based community a cappella group founded by Rob Dietz that won first place in the 2017 Los Angeles A Cappella Festival and performed in the Aca-Open finals at Carnegie Hall. She is very excited to sing with Snowfall this holiday season!